Hanoi (VNA) - The chief negotiators from the 11 Trans-Pacific Partnership countries met in Hakone, Kanagawa Prefecture, southwest of Tokyo, on July 12 to discuss how to bring the regional free trade deal into effect following the withdrawal of the United States, the Japanese Kyodo News reported. The meeting, to run for at least two days, follows their trade ministers' meeting on the sidelines of an Asia-Pacific Economic Cooperation (APEC) in Vietnam in May, where they agreed to launch a process to assess options to bring the TPP into force expeditiously. According to current regulations, the TPP can come into force after the countries that account for 85 percent of the original 12 signatories' combined gross domestic product (GDP) complete their domestic procedures. 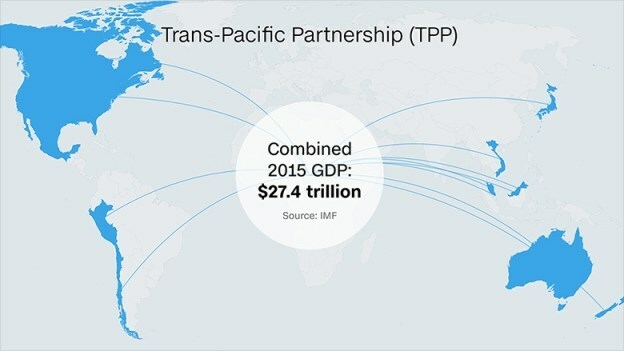 Since the United States alone represents more than 60 percent of the initial members' GDP, it is impossible to bring the pact into effect under present terms. The chief negotiators are determined to discuss possible options for the deal before their leaders gather in November for an APEC forum in Vietnam. Nobuteru Ishihara, Japan’s Minister for Economic Revitalisation, Total Reform of Social Security and Tax, and Economic and Fiscal Policy, told a press conference on July 11 that the discussion in Hakone will not be the final one before November's summit. The chief negotiators are likely to meet again in September. Japan, the largest economy among the 11, hopes to reach an agreement to bring the TPP into effect, as it took years of negotiations before it was signed in February 2016. However, some countries may call for fresh negotiations on the content, including tariffs. The Japanese minister said that Japan wants to move forward discussions toward the early implementation of the TPP, including how to bring the United States back. U.S. President Donald Trump announced the country's pullout from the TPP soon after he took office in January, saying the multilateral pact hurts American jobs and that he prefers bilateral trade negotiations.